Here are seventeen books we recommend you read this year! This book is about an alien’s trip to earth, but it’s also about what it means to be human. It’s funny and uplifting and it explains the difficulties and the joys of being alive. This is a clever ghost story about a paranormal house. 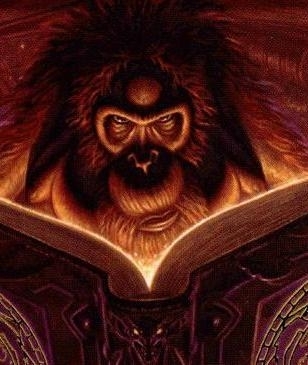 You never know whether you can trust what you’re reading. 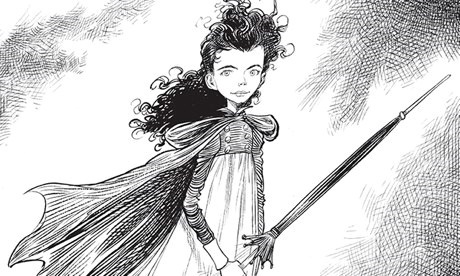 Chris Riddell was appointed Children’s Laureate in June in recognition of his prolific body of work as an illustrator and writer of children’s literature. Originally a political cartoonist for The Economist and currently The Observer (check out his drawings of Putin on the Iron Throne and other disturbingly accurate caricatures of our politicians), he is now best known for his beautifully detailed illustrations of strange characters, monsters and fantastic creatures in books for kids, most notably the Edge Chronicles by Paul Stewart. 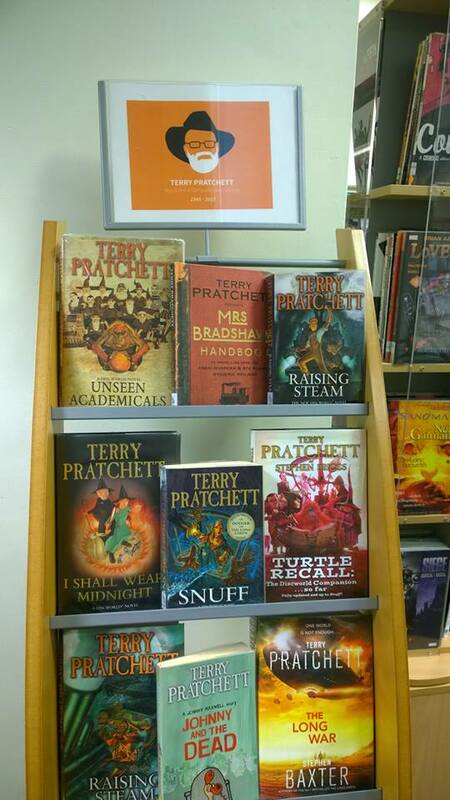 We wanted to pay our respects to this home-grown talent with a humble display showcasing some of the books available in our libraries that feature his work. Resident library assistant and fellow illustrator, David Bushell created the poster and found a great selection of titles which have proved to be popular with the younger readers. 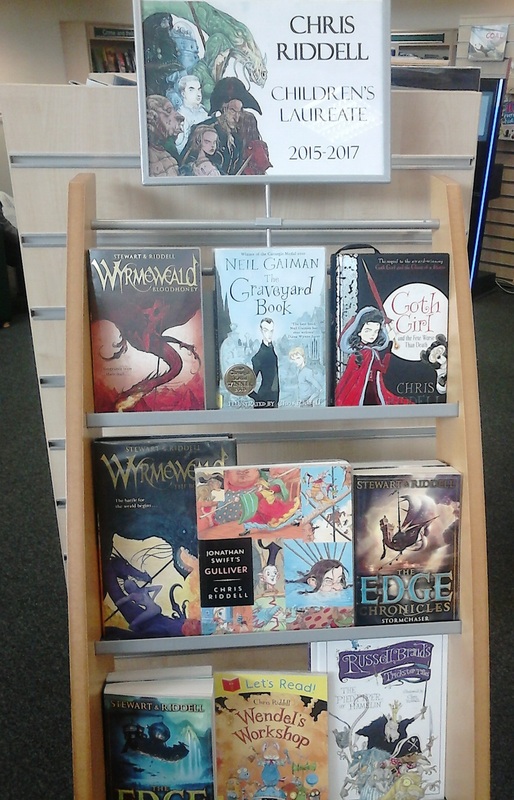 You can find more titles by Chris Riddell on the library catalogue. As you all know, Chatterbooks is the monthly reading group for 8 to 12 yr olds and is a forum for young book lovers to discuss and discover authors and titles they have enjoyed. At this week’s session we concentrated on the “discovering” as we explored the weird but decidedly wonderful world of augmented reality books. For those who haven’t a clue what I’m talking about, with the help of a tablet and a free downloadable app the books come to life. Thanks to the stock team we had one book on dinosaurs and another on the solar system. 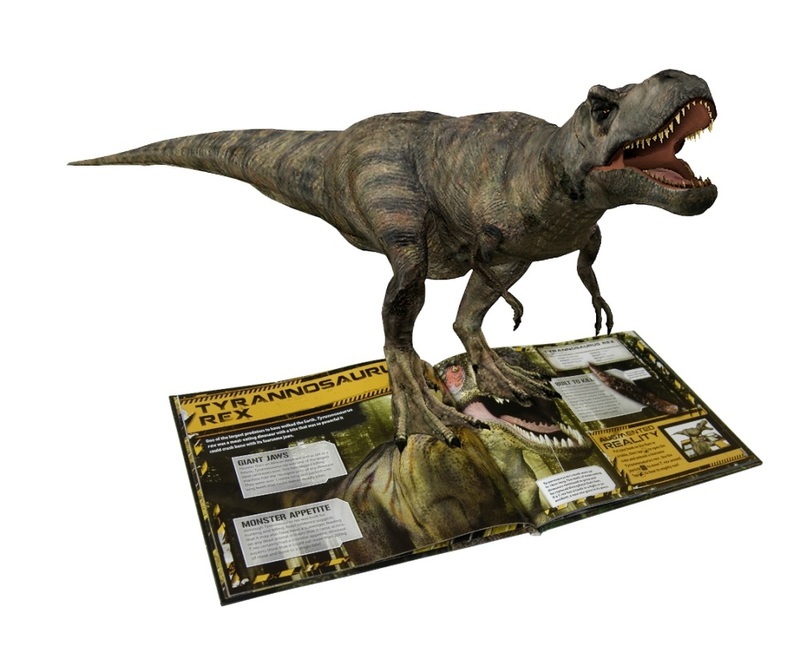 In the iDinosaur book we watched a dinosaur hatch from its egg, another one walked out of the book, onto the carpet and under the table, roaring as it went. 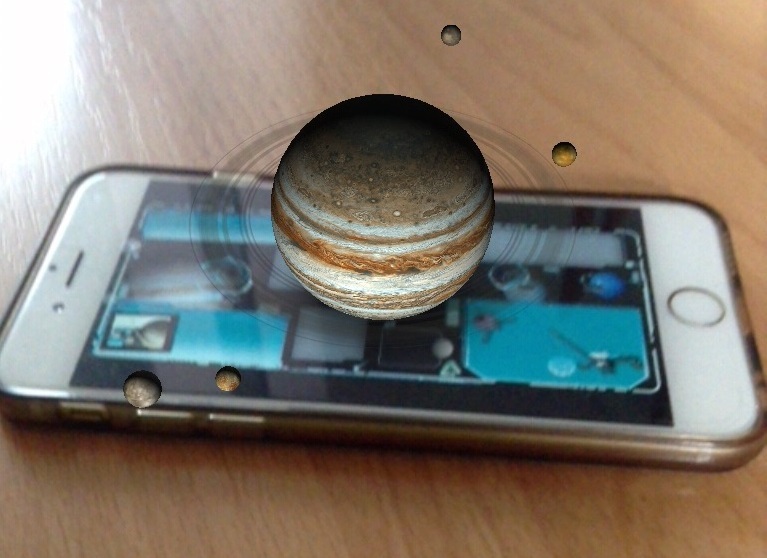 With the help of the solar system app (iSolarSystemAR) all the planets were orbiting around the sun in (Learning) Space! The children and parents were suitably impressed and amazed and were all keen to have a go with the library iPads. Many thanks to Sally from the Stock Team, and Fiora for helping me with the two books shared between 6 children! 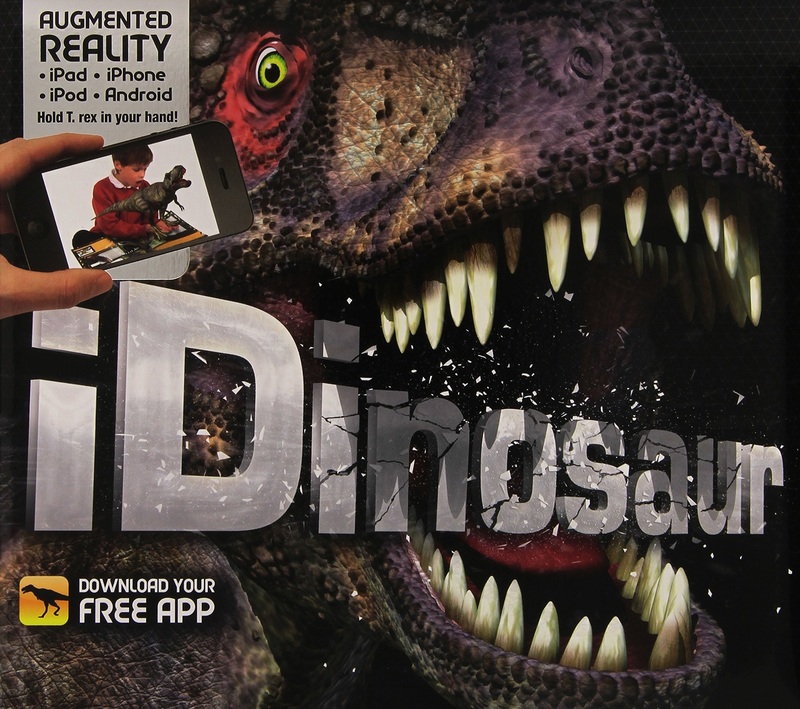 Download the free app and, using your smartphone, see dinosaurs come to life! After exhausting the possibilities of the books, they had time to write a few lines about what they had just seen and start on a dinosaur and solar system word search. So, it wasn’t a typical Chatterbooks session but I think our eyes were opened not only to the subjects of dinosaurs and the planets but also to new ways of learning and interacting with new technology. Now we’re buying more books and exploring more opportunities for showing them off to our users, young and old! You can download the iSolarSystemAR app and try this at home! If you’d like to see the books in action with ipads, give Brompton a ring and we’ll arrange a mutually convenient time for you to come along and try them out. Alternatively, you can borrow an augmented reality book and use your smart device to bring them to life. Find the apps on the Apple Store/ Google Play. 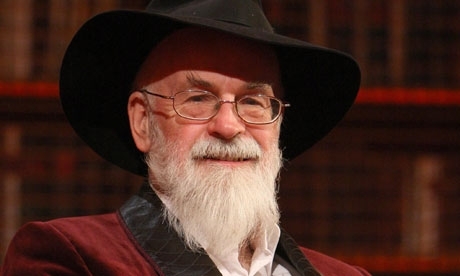 Have you seen our Book Awards page? We’ve gathered all the contenders and winners of the UK’s most popular literary awards in one place! So if you’re keen to read a whole shortlist, want to know what all the fuss is about a particular winner, or are just looking for a great book to read – take a look. All our book lists link straight in to the library catalogue, so you can find out which libraries hold copies of the book you’re after and whether they’re available (you can reserve from here too). The book awards we feature include the Man Booker, Waterstones Children’s Book Prize, the Specsavers National Book Award and many more! Why not try The Miniaturist by Jessie Burton (above) – winner of the 2014 Waterstones Book of the Year, winner of Book of the Year and Best New Writer in the 2014 Specsavers National Book Awards. This is a wonderful read set in 1686 Amsterdam. It follows eighteen-year-old Nella Oortman as she arrives from a small village to the Amsterdam household of merchant trader Johannes Brand, her new husband. A gripping story unfolds as she is given a cabinet by her husband containing an exact replica of their house. Take a look too through the excellent shortlist for the Bailey’s Women’s Prize for Fiction, including the latest book by Sarah Waters: The Paying Guests. The winner will be announced in just a couple of weeks! Each time a new shortlist is announced, the lists are refreshed – but we are gradually building a ’round up’ list of past prizewinners, so you can always be sure to find some great quality reading. Friday the 13th is usually said to be unlucky, although it usually turns out alright for me personally. 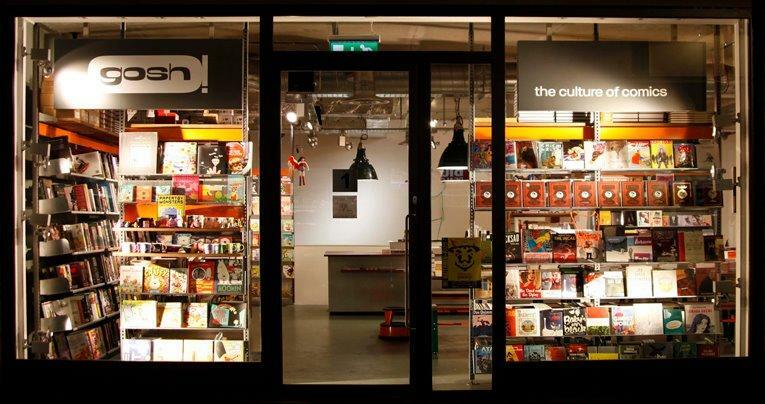 The last one was no exception, as I was given the enviable task of visiting Gosh!, a Graphic Novel institution located in Berwick Street, in deepest Soho, to see what goodies we will be receiving from our local independent supplier. Friday the 13th (the comic book) was fittingly on display, as were a diverse array of other titles spanning all the genres. As someone who has long been a ‘fellow traveler’ of the graphic novel community, whilst not being totally immersed, I was pleasantly surprised by the sheer range and beauty of these books. Many are truly collectors’ items for a reason; much of the art is staggering, and there is often as much depth as any traditional novel or non-fiction reportage. It’s easy to dismiss Graphic Novels as merely famous superheroes with their underpants on the outside of gaudy tights, but whilst this is a staple of the medium, there’s so much more to be discovered. Luckily for me and the good people of Kensington and Chelsea, a new range of stock will be coming our way in the coming weeks, straight from Gosh! 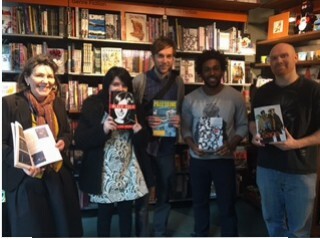 and expertly curated by the personable manager of the store, Andrew. A happy morning spent at Gosh! 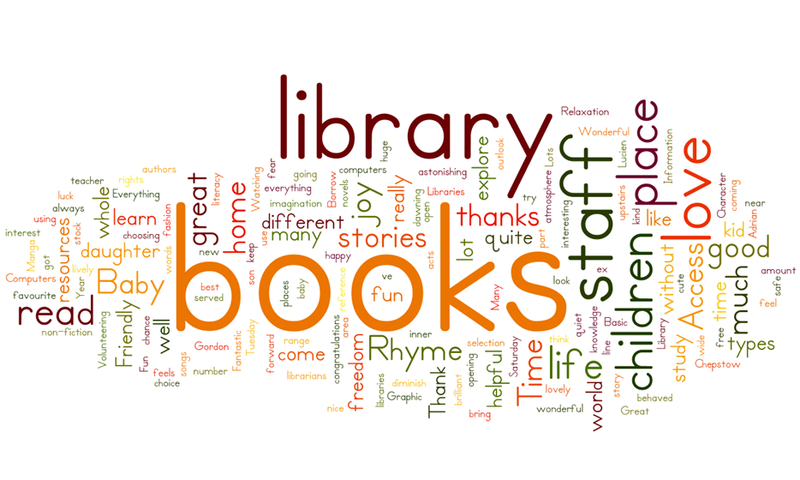 What do you like about your library? Well, we had plenty of responses to this question on National Libraries Day, Saturday 8th February, and they were all inspiring: interesting, heart-warming and fun in equal measures! This is where our baby got a passion for books! Thank you. (I love) Having access to such an astonishing number of wonderful books! A whole new world of interest in places and stories found in the books. We love the library, libraries have the best books & lovely staff. Keep it going. Would hate to be without it – and thanks to the splendid librarians! Basic human rights! To read, to learn, to use your imagination, to be entertained, to save paper…for free! A place to learn and feel safe and warm without fear. Access to knowledge and to life. A huge amount- great selection of all types of books together with a fashion reference library upstairs! And of course everyone loves Baby Rhme Time! This Library is my daughter’s favourite place. Baby Rhyme Time is so much fun! Many thanks for everything!! Great Baby Rhyme Time here at the library! There were far too many to mention all in one blog post but thank you everyone for contributing!